Oberthur Technologies and LEGIC Identsystems Ltd announced a new partnership to enhance contactless payment solutions and dual-interface payment smart card product offerings. 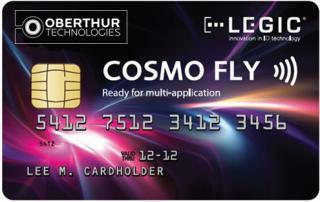 LEGIC ‘s virtual contactless transponder technology will be combined with Oberthur Technologies’ contactless and dual-interface smart cards, creating new business opportunities for industries such as public transport authorities, banks, airlines or leisure facilities. Additionally, Oberthur Technologies existing payment card portfolio will be further extended with multi-applications such as physical access control, public transport ticketing, parking, or logical access solutions. Simultaneously, cardholders will enjoy greater convenience through a reduced number of cards in their wallet. LEGIC technology offers the flexibility to add new applications at any time, even if the card has been already distributed to the consumer. In similar news, LEGIC also made a partnership agreement with Chinese reader manufacturer Shenzhen IB Technologies Develop Co., Ltd. (IBT). As a licensed LEGIC partner, IBT is now capable of expanding its products and services which center on access control systems, e-payment, presence time recording, and parking ground management. LEGIC will be also be in attendance at Security China, from December 3 – 6th in hall W2 booth Y13/Y14, showing the newest developments in contactless people identification to the Asian market.